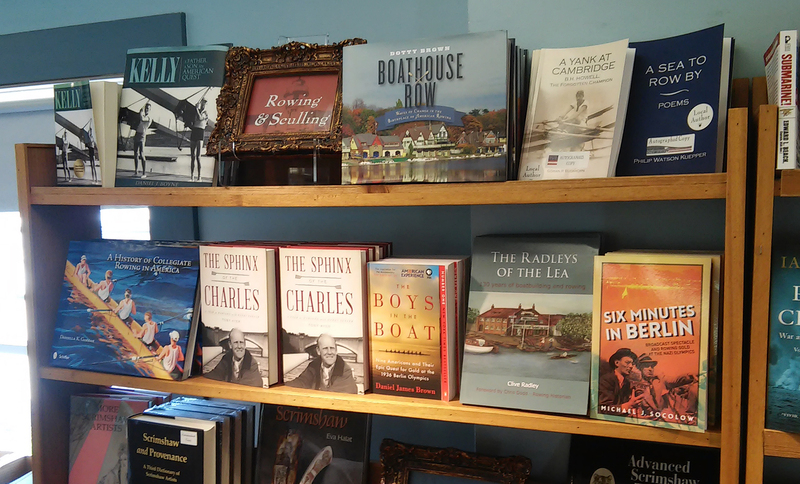 “The Radleys of the Lea” is in good company on the shelf at the Mystic Seaport Bookstore. HTBS is happy to report that Clive Radley’s brilliant book on his boatbuilding ancestors, The Radleys of the Lea, published in 2015, is now available in the USA. Copies of the book arrived the other day to one of the largest maritime book shops in America, Mystic Seaport Bookstore in Mystic, Connecticut.